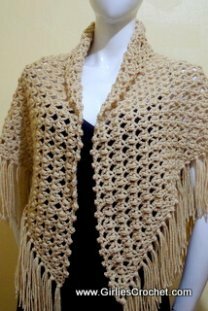 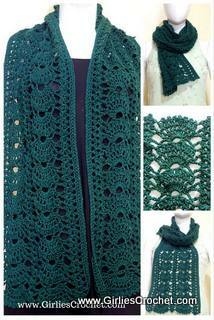 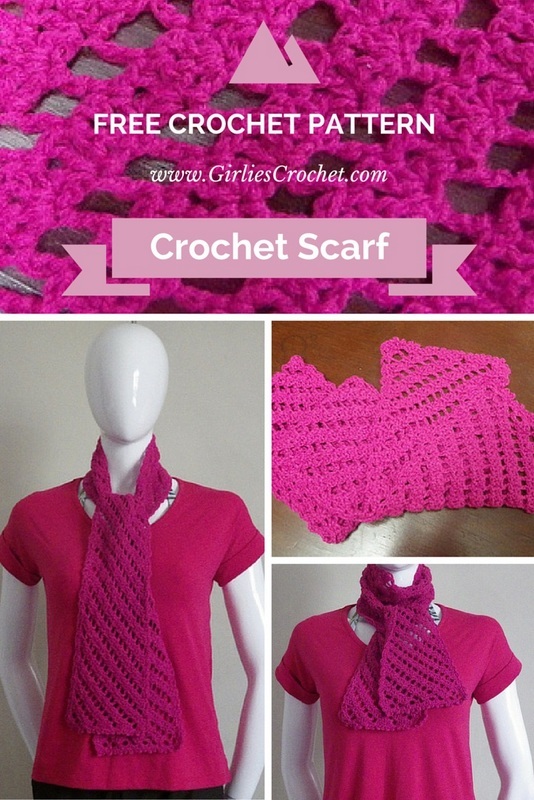 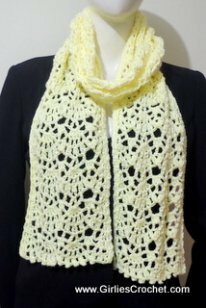 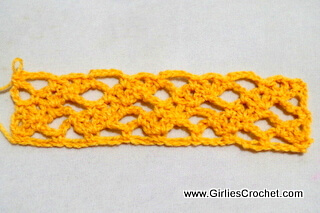 This is a free crochet scarf pattern with photo tutorial in each steps. 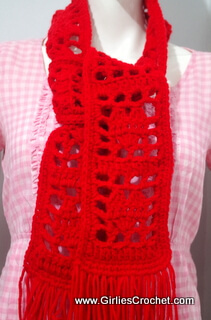 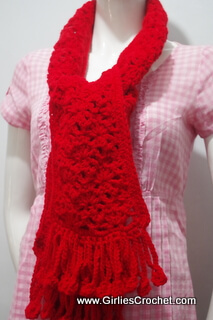 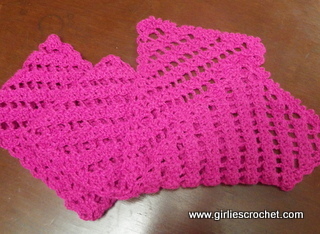 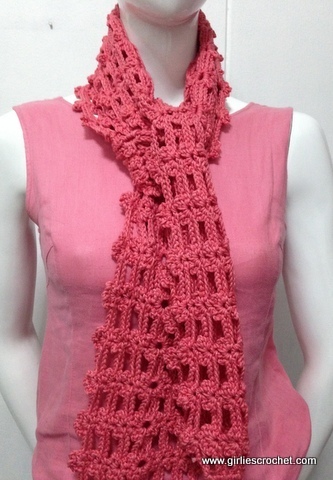 This crochet scarf is a bigger and longer size of V-st and Ch 5 Combination stitch. 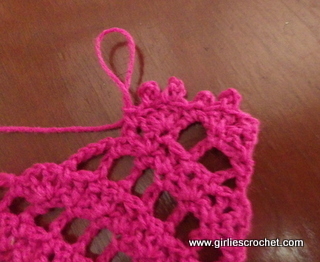 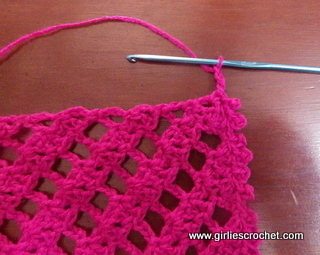 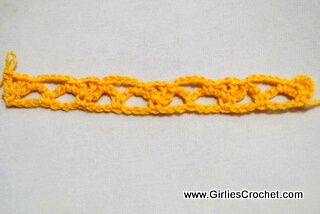 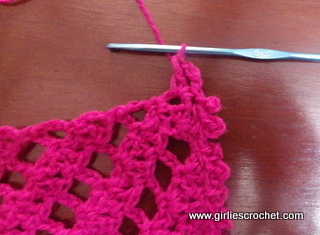 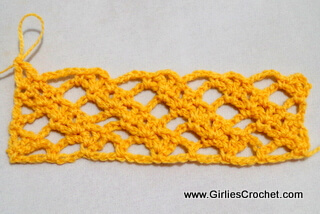 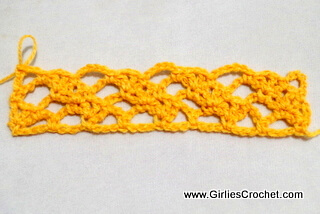 For faster crocheting, please study this stitch first. 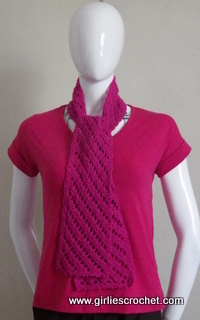 Terms used are all in US terminology. 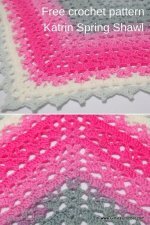 V-st : dc-ch1- dc in specified st.
Row 3: Ch 1, turn, sc in the same st, ch 5, skip (1 ch sp, dc, sc), sc in next 5 ch sp, [v-st in next sc, sc in next v-st, ch 5, skip next sc, sc in next 5 ch sp] 2 times more, v-st in next sc, skip (sc, dc, 1 ch sp), sc in next dc. 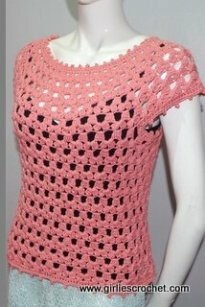 Row 4: Ch 5 (consider as 1st dc and 2 ch sp), turn, sc in next v-st, v-st in next sc, sc in next 5 ch sp, [ch 5, skip next sc, sc in next v-st, v-st in next sc, sc in next 5 ch sp] 2 times more, ch 2, dc in last sc. 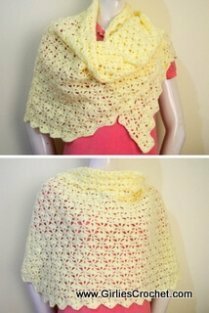 Row 5: Ch 1, turn, sc in the same st, v-st in next sc, sc in next v-st, ch 5, [sc in next 5 ch sp, v-st in next sc, sc in next v-st, ch 5] 2 times more, sc in last dc. 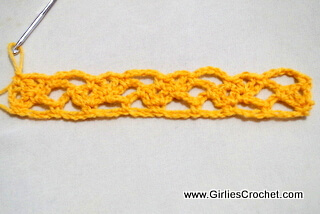 Row 6: Beg V-st, [sc in next 5 ch sp, ch 5, sc in next v-st, v-st in next sc] across. 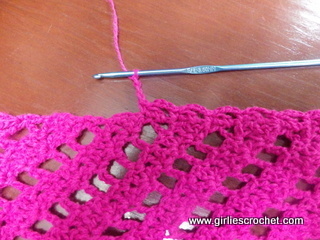 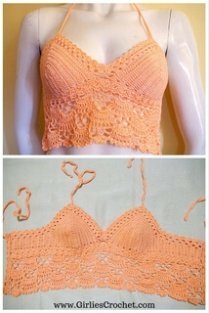 Row 7 and Onward: Repeat Row 3 - 6 up to your desired length. 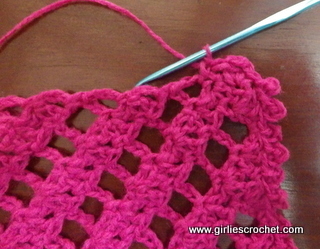 For the edging please refer to photos below. 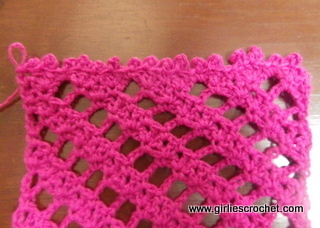 *sc in the next st, ch 3, dc in next dc post*, repeat *to* through the row ** , repeat ** to ** once more, end w/ sl st in 1st sc.